Real Madrid midfielder, Luka Modric has claimed that Isco is Gareth Bale’s biggest rival in Zinedine Zidane’s team. Modric was speaking to the press ahead of Tuesday night’s Champions League quarter-final clash at Juventus. The Croatian made a case for Bale, his close friend, to be included in the team to face the Serie A champions. 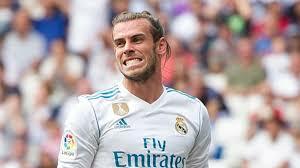 Bale scored twice in Saturday’s 3-0 win over Las Palmas, but could lose his place in the starting line-up against Juventus. “Gareth is happy at the moment. It’s been a difficult season for him with injuries but he is training well, playing back to back games and scoring goals. “We all know what he brings to the team. When he is physically right he shows his quality. He is very important for us. He pace and direct running helps us and that is why it is so important that he is fit for us,” he said.